If something runs on batteries, you’ll find a battery meter somewhere on it. Your smartphone, your vape; even batteries themselves can tell you how close they are to dying. So why am I excited about Dyson’s inclusion of a redesigned battery meter on its new V11 cordless vacuum? It finally alleviates the anxieties of not knowing when it’s going to suddenly run out of power while you’re in the middle of cleaning up a mess. 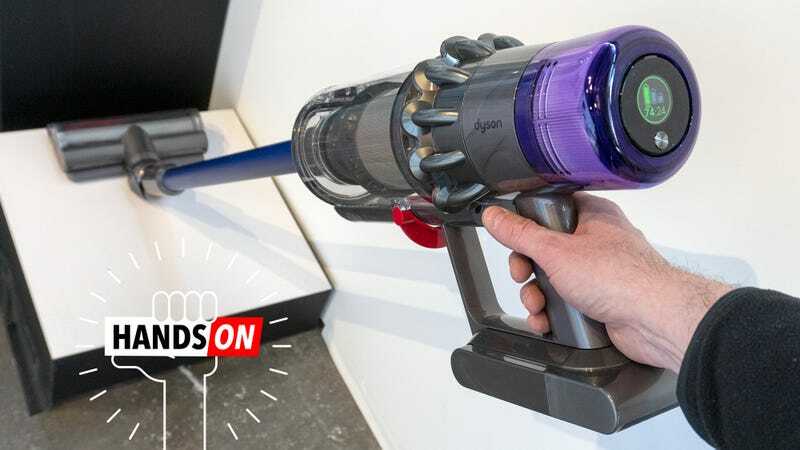 The V11 actually brings a handful of useful improvements to the Cyclone V10 Dyson introduced last year, while not changing much in terms of its overall hardware design. It’s powered by Dyson’s new V11 digital motor which spins at the same speed as the V10 did (a peppy 125,000 RPM) but Dyson claims it has improved airflow and suction with redesigned blades. An LCD screen on the Dyson V11 lets you easily switch between three cleaning modes, including a new ‘Auto’ mode that adjusts suction power on-the-fly. The V11's floor cleaning attachment can sense if it’s on hard floors or carpet, telling the vacuum how much suction to apply. The V11 looks very similar to the Cyclone V10. The V11's filter is now protected by a clear dome so you can easily see when it needs to be cleaned. The Cyclone V10 used a simple sliding switch to toggle between cleaning modes, which is what Dyson has included on its cordless vacuums since they were first introduced. But the V11 upgrades this to a single button and a small LCD screen on the back that’s always visible while you’re cleaning. It provides info on the vacuum’s status, when to clean the filter, and more detailed warnings about problems like blockages, with suggestions on how to fix them. But it also makes it easier to tell which cleaning mode you are using. In addition to the V11's max-power “Boost” mode and its low-power, battery-saving “Eco” mode, Dyson is adding a new “Auto” mode that sits somewhere between the other two. 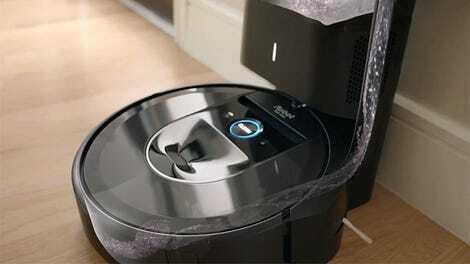 Working in conjunction with a redesigned floor cleaning attachment that can detect when it’s being used on hard surfaces or varying levels of thick carpet, in “Auto” mode the Dyson V11 will automatically adjust the intensity of its suction on the fly so it’s only at max power for as long as it needs to be. It’s a welcome improvement to Dyson’s handheld vacuums because with previous iterations, I’d often find myself increasing power when maneuvering onto carpet, and then forgetting to turn the suction power back down after, which quickly kills the battery. The “Dynamic Load Sensor,” as Dyson calls it, worked well enough on the small section of flooring that was provided for testing, but I do wish the feature worked with any of V11's cleaning attachments. For now it’s dependent on, and limited to, the floor cleaning head. The Dyson V11 will now provide an accurate countdown of cleaning time before it needs to be charged again. So why am I most excited about the addition of a better battery meter? With last year’s Cyclone V10, Dyson also revealed the company was stopping production of corded vacuums altogether, which was mostly a good decision because cords are annoying. But batteries are still far from perfect, and in a high-drain device like a vacuum cleaner, even a beefy lithium power cell can be quickly drained. On the Cyclone V10, battery life was indicated using a series of three LED lights that would turn off, one-by-one, as the battery drained. 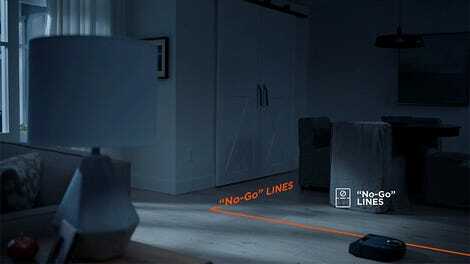 It was incredibly vague, leaving users racing to finish vacuuming a room when there was only a single LED left glowing. The Dyson V11 now provides a countdown clock telling you how many minutes and seconds you have left to finish your vacuuming. As you switch between the three different cleaning modes, it automatically updates how much time you’ll have left based on the suction power, making it easier to choose which option will work best for how much cleaning you’ve got to do. Dyson’s handheld vacs have always been battery power-only, so falling back on a power cord when you run out of power has never been an option. Not knowing exactly how long you can clean for has always been their biggest drawback as a result, but this new battery meter goes a long way to helping you work within the limitations. As with all of Dyson’s products, the new V11 also comes with a steep $700 price tag. But compared to previous models, it goes a long way to making cordless vacuums a more viable option for cleaning your entire home. Plus, it means those older versions like the excellent Cyclone V10 are probably going to drop in price.